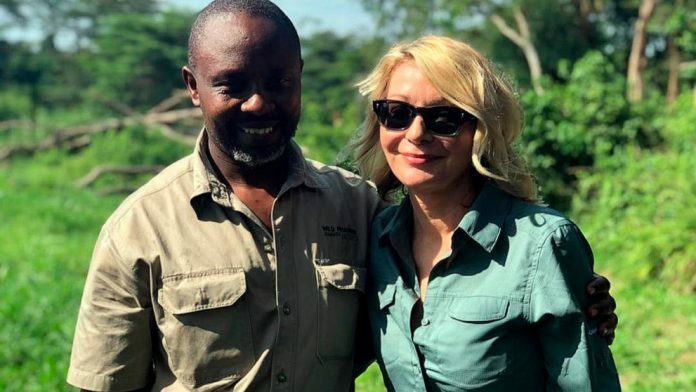 A Uganda gorilla safari tour to Bwindi Impenetrable National Park is one of the most thrilling and trending Uganda safaris tourists enjoy while in Uganda. 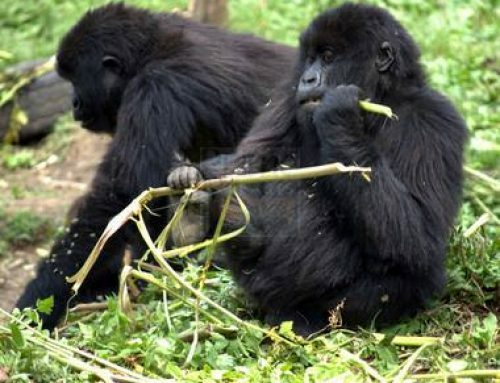 This 2 days Uganda gorilla tour is best for visitors that have limited time as well as money for long safaris in Uganda. 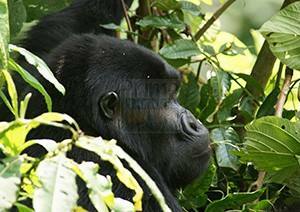 A gorilla safari Uganda is best when the visitor is coming form either Uganda or Rwanda. 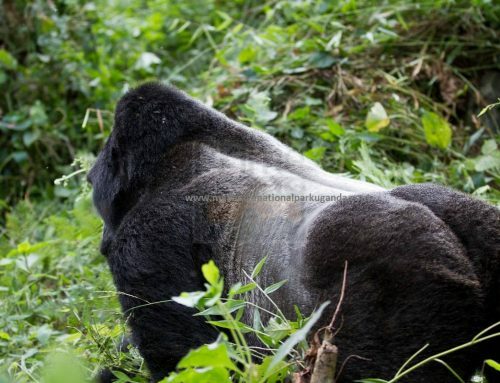 Below are options of both routes to Bwindi Impenetrable National Park Uganda. This gives our clients choice to choose the best for them or the easiest route to start off their 2 days gorilla trekking safari Uganda. Arrive at Entebbe International Airport Uganda on day one. Upon arrival, you will meet our Uganda tour guide who will give you a short briefing about your Safari in Uganda. The driver guide will then drive you to Bwindi Impenetrable National Park. This journey to Bwindi National Park takes about 10hours driving. If you don’t want to go by road, you can choose to take a flight to Kihihi the nearest airport in Bwindi from Entebbe International airport. A Flight to Bwindi take about 2 hours. These scheduled flights are arranged to airstrips near Bwindi Impenetrable National Park by Aero Link Uganda. In this case, our tour guide will wait for you at the air strip and then transfer you to the hotel or for your next activity. 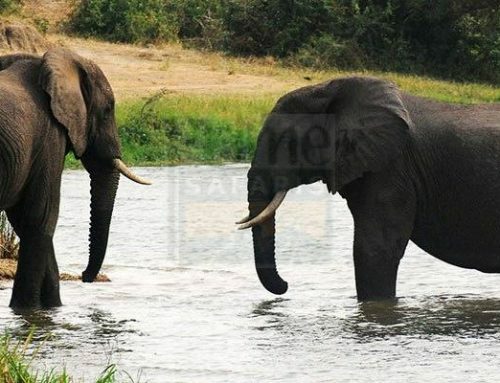 After arrival at Entebbe airport, our safari guide will welcome you at Uganda and after you will embark on your journey to Bwindi Impenetrable National Park Uganda to your area of stay that night. This journey takes about 8-9 hours covering a distance of about 550km. If you are going to use an air craft, the setting off point is still Entebbe International airport. Upon arrival to the airport, get prepared for another flight to the Kihihi where you will meet your guide waiting for you. Our tour guide will then drive your hotel where you will be spending the night as you prepare for the next day. The Kigali route is the easiest and cheapest to use. 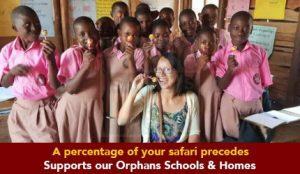 Arrive in Kigali at the Kigali airport Rwanda where you will be picked by our safari guide. Your driver guide will take you through a short briefing about your Gorilla tour in Uganda’s Bwindi Impenetrable National Park and after you set off from Kigali through Katuna the border and traverse through the scenic Kigezi highlands commonly referred to as “the Switzerland of Africa” then transfer to Bwindi where you will spend you night. There are no scheduled flights from Kigali so the only option is to use the road. Upon arrival at Kigali airport, our Prime safaris & Tour guide will wait for you at the airport and welcome you and brief you about your safari Uganda. Thereafter the guide will drive you to the Rwanda border via Katuna to Uganda’s Bwindi Impenetrable forest National Park. This drive through the attractive road to Bwindi will take approximately four hours. Day 2: Do your Uganda gorilla safari and transfer back to Kigali or Fly back to Entebbe International airport. Wake up early and take breakfast by 7: 00am, so that you start your journey to the park headquarters for registration and briefing from the ranger guides. The ranger guide will take you through all the dos and don’ts of the park while with the mountain gorillas. Afterwards, you will be transferred to the starting point of your gorilla family that has been allocated to you. 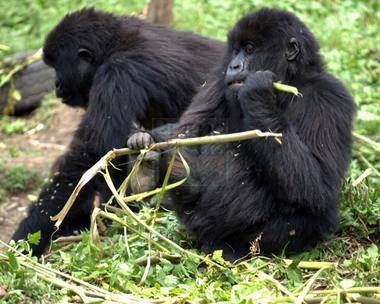 Gorilla family allocation depends on your interests, fitness and age. You will trek through chunky creepers and bushes with your guides to look for the Mountain Gorillas, an exercise that could last between 1 to 9 hours. It is a special feeling being with these stunning human-like animals. Time allowed with these primates is only 1 hour in which every minute counts much. After encountering with the gorillas, you will trek back to the park headquarters to pick your certificates. Your driver guide will then drive back to Kigali Rwanda through Katuna or Chanika boarder for your flight in Kigali or to your place of stay. Please ensure that you book flights that depart late from Kigali International Airport if you intend to fly back after your 2-day Bwindi gorilla safari through Kigali. If your going back to Entebbe International airport, you need to track a close group so you can catch the flight from Kihihi- Entebbe. 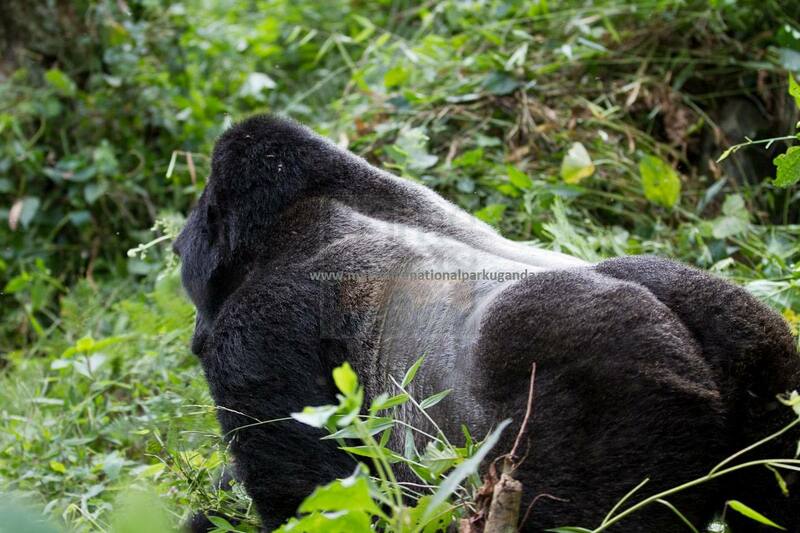 Gorilla trekking can be active and a certain level of fitness is required.